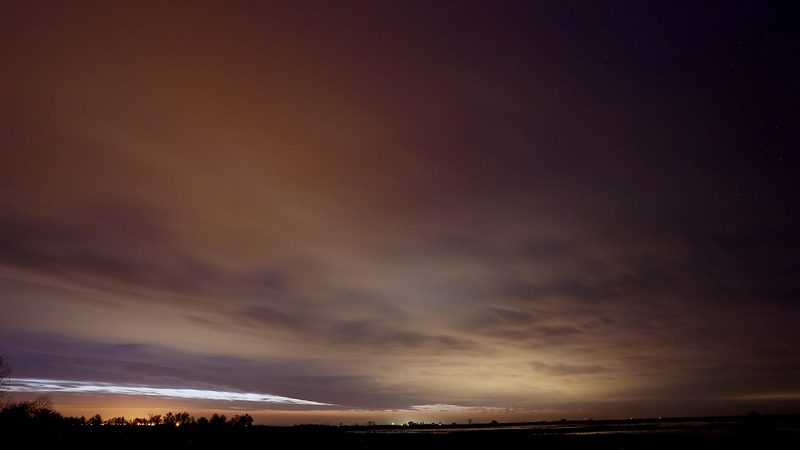 With storm clouds looming on the horizon I decided to take my chances and packed my gear a for an early morning sunrise adventure at Isenberg. 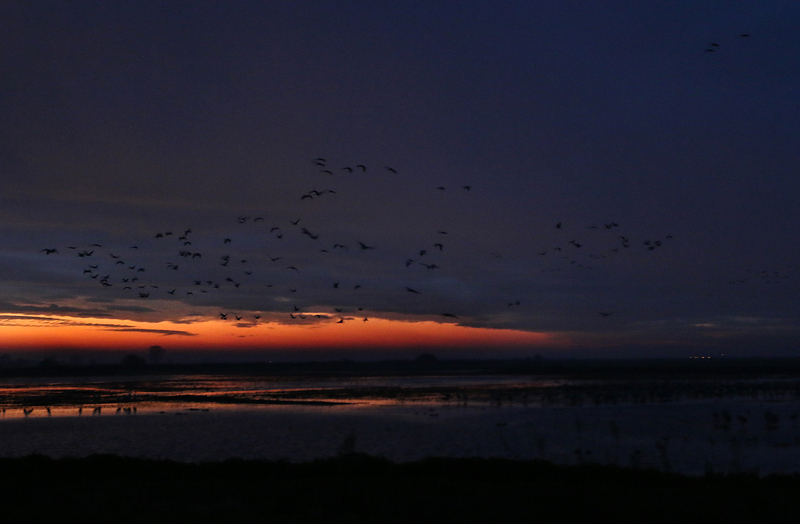 Awake at 3 a.m. and on the road by 5 I was hoping for a few rain-free shots at sunrise scheduled t just before 7 a.m. 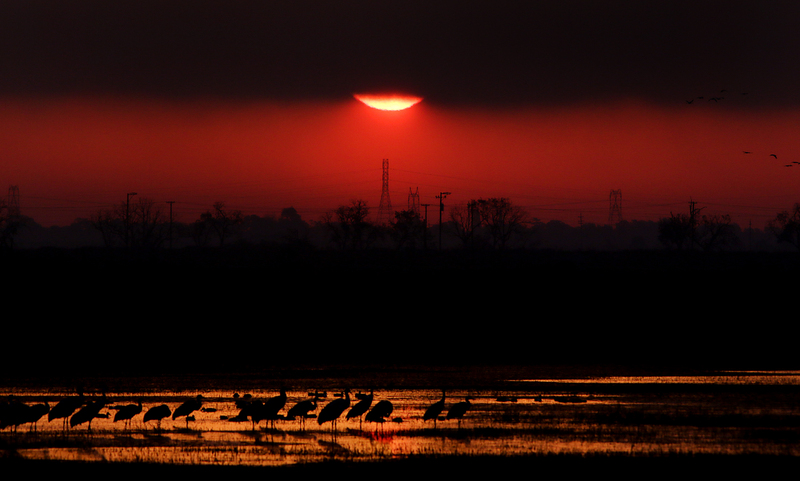 Arriving at the crane reserve I was greeted with chilly temperatures and a brisk wind making for long wait for the first rays of dawn to break across the wetlands. 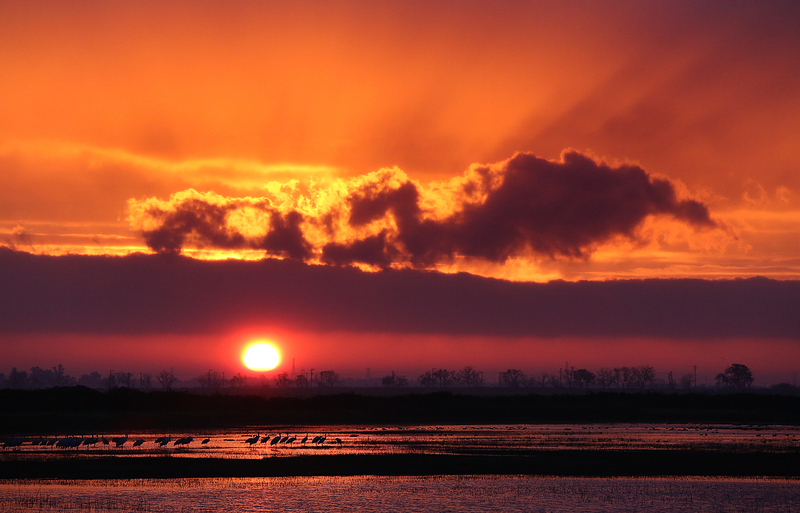 As the sun’s disk rose higher in the the sky through the clouds the light swept through a range of colors from a cool blue to fiery orange across the horizon. 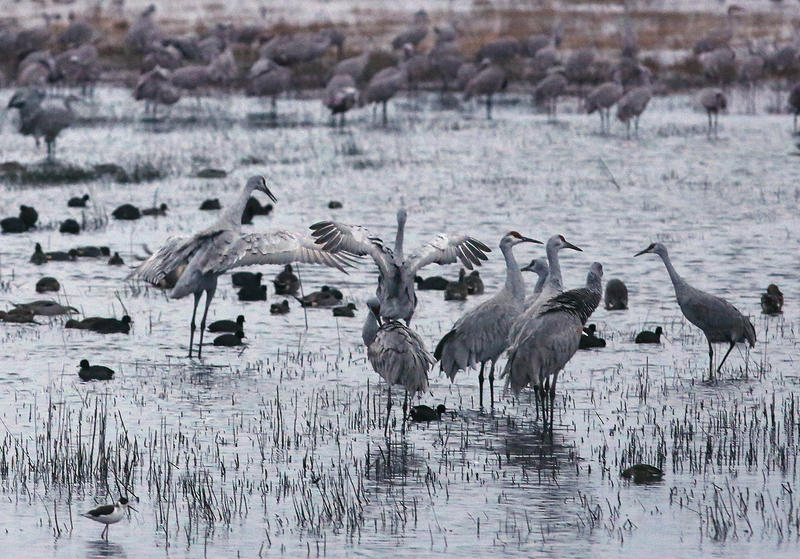 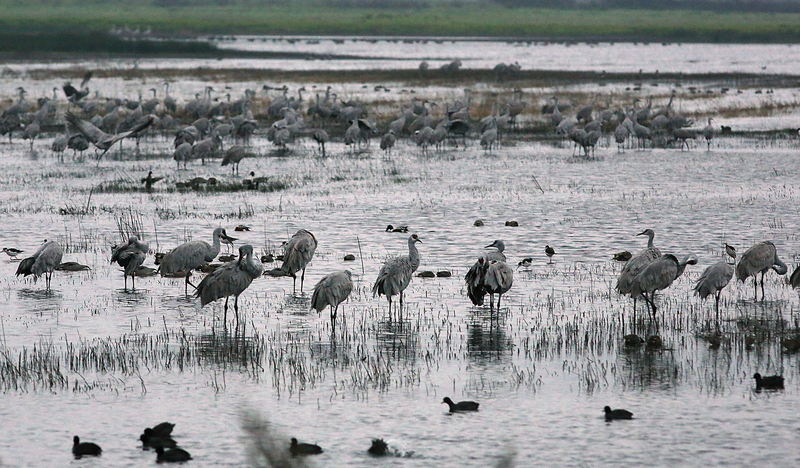 A half an hour after sunrise rain began to pelt the wetlands. 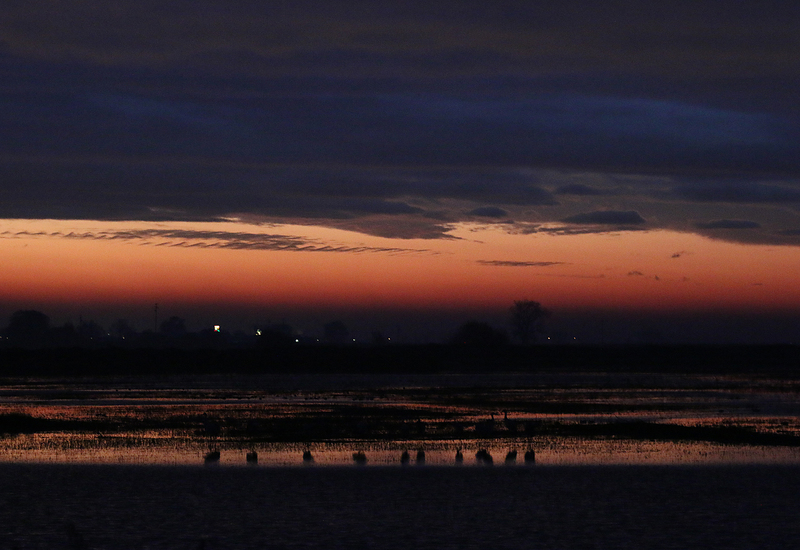 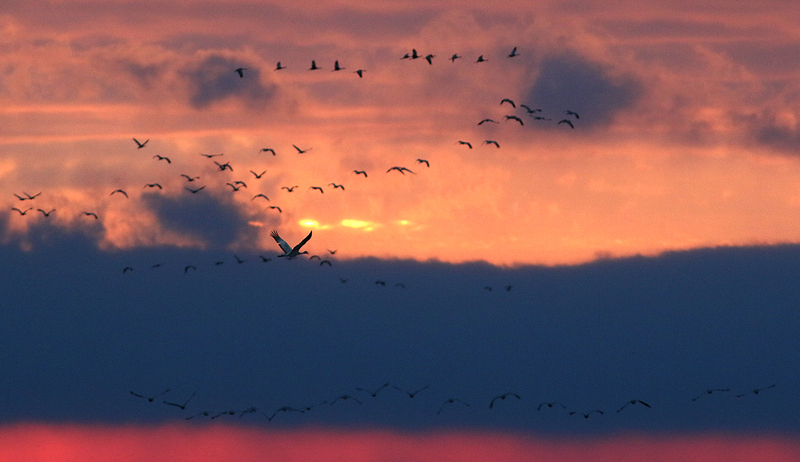 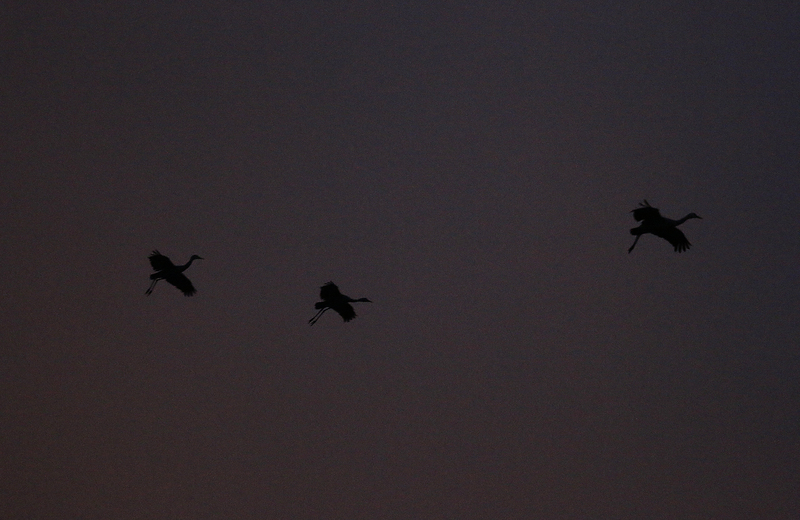 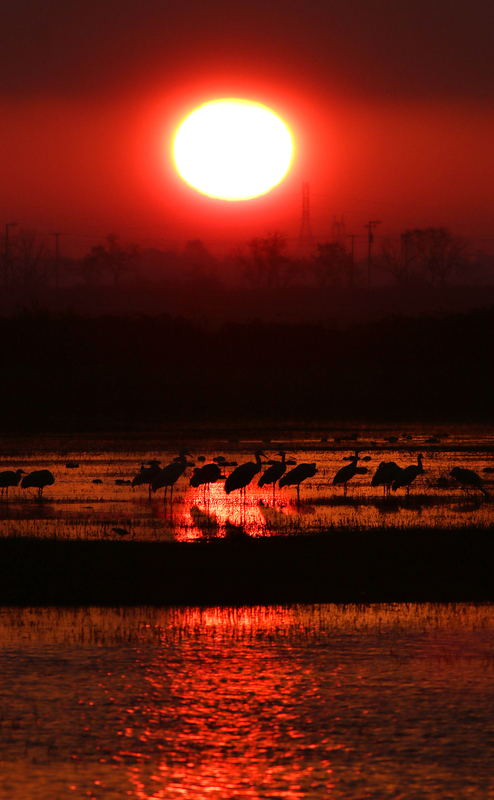 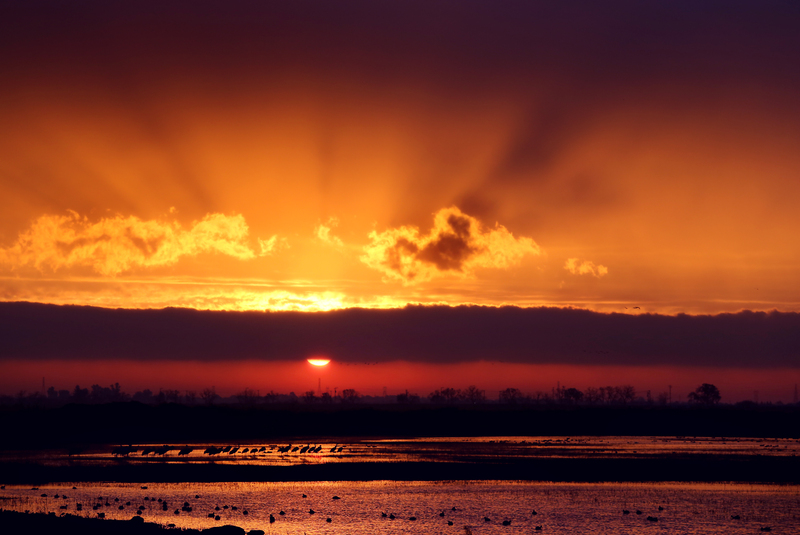 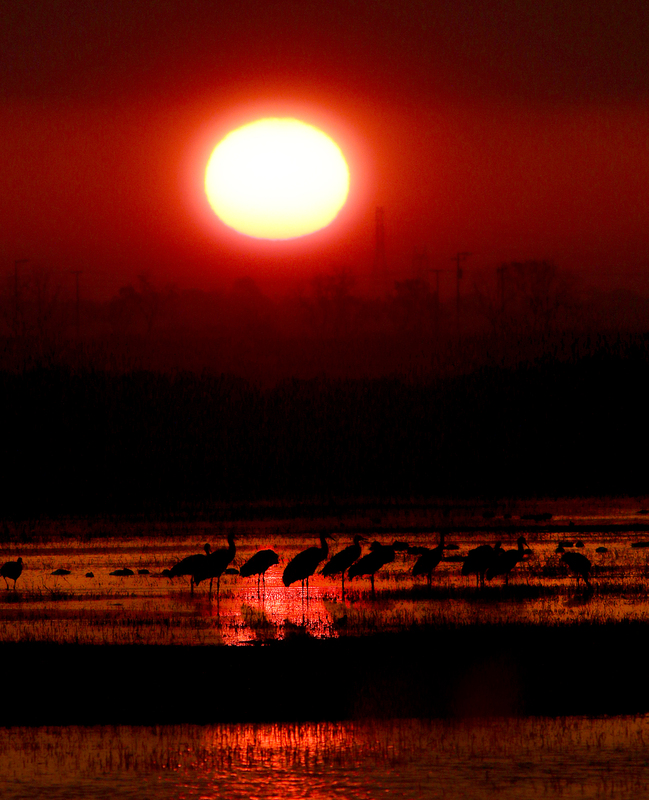 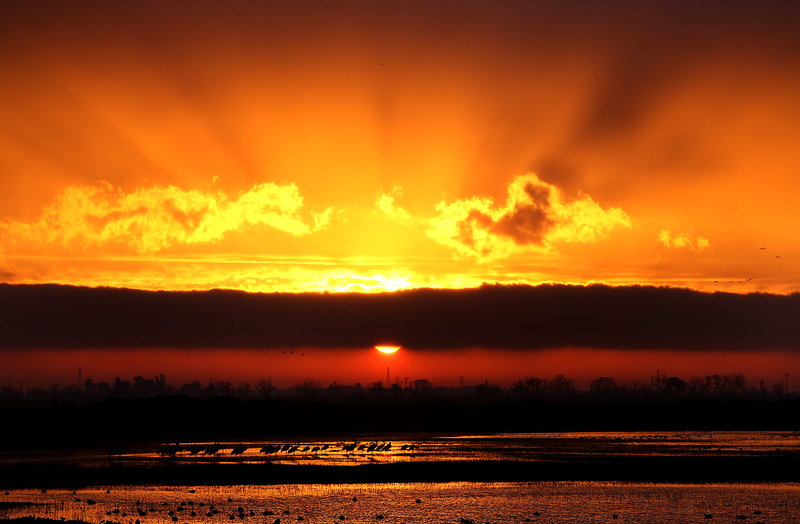 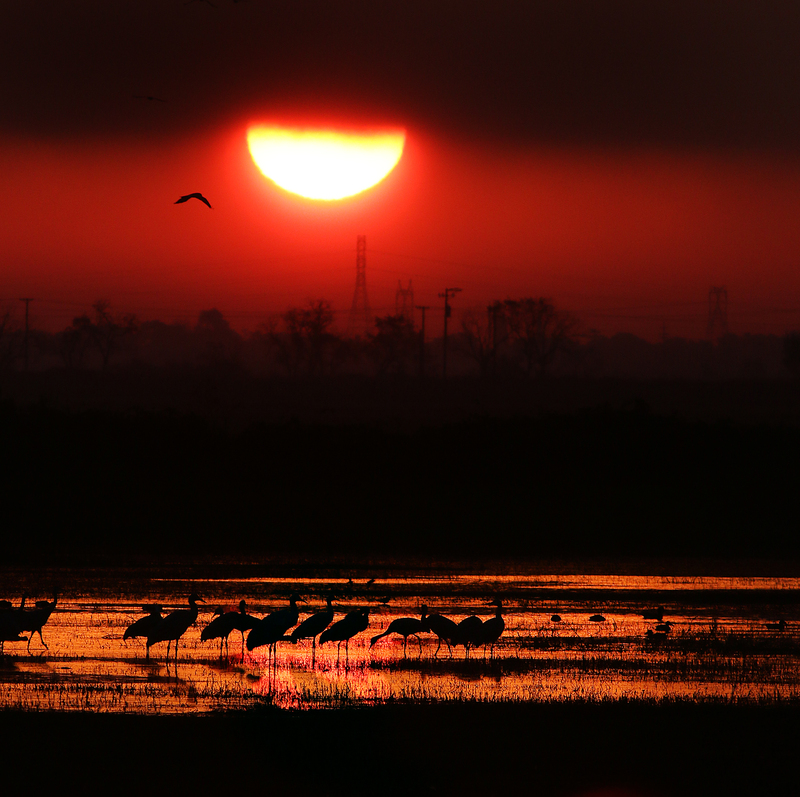 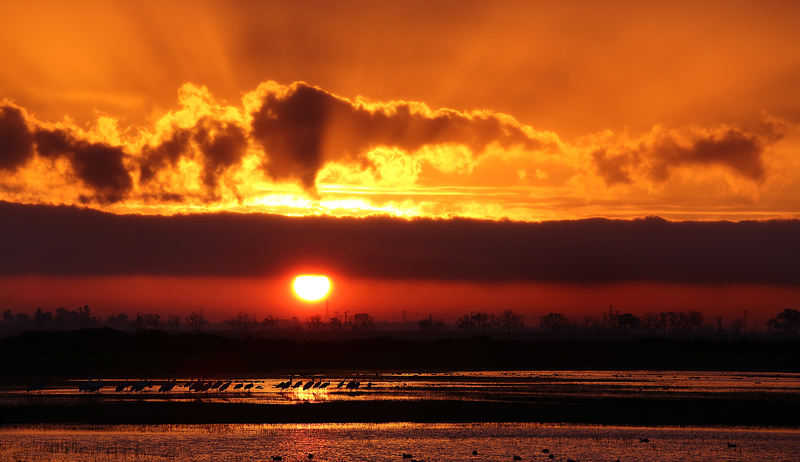 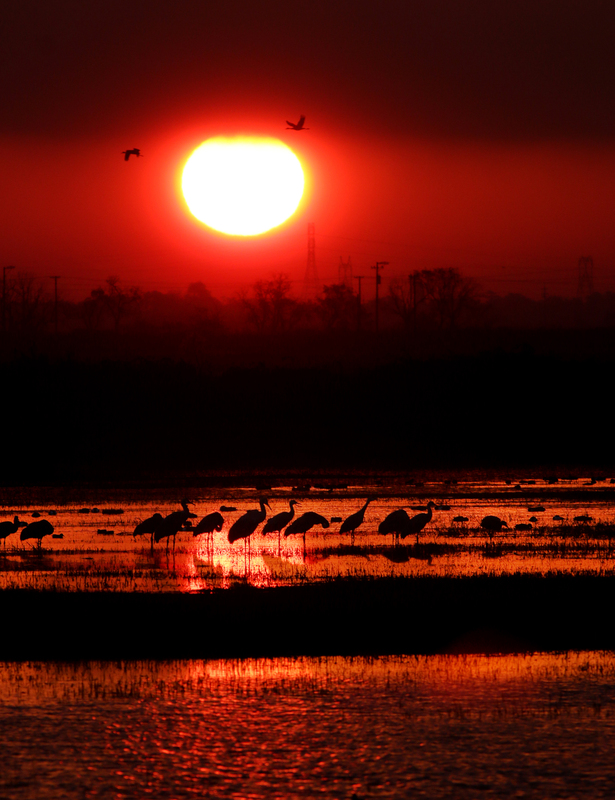 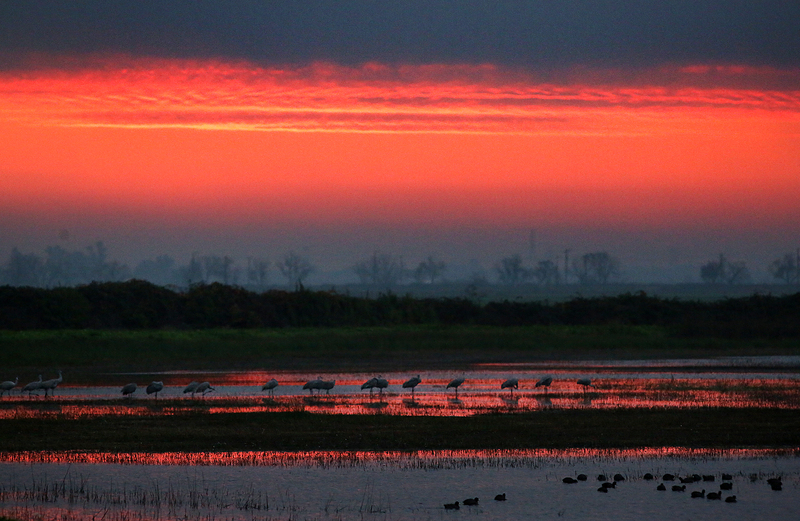 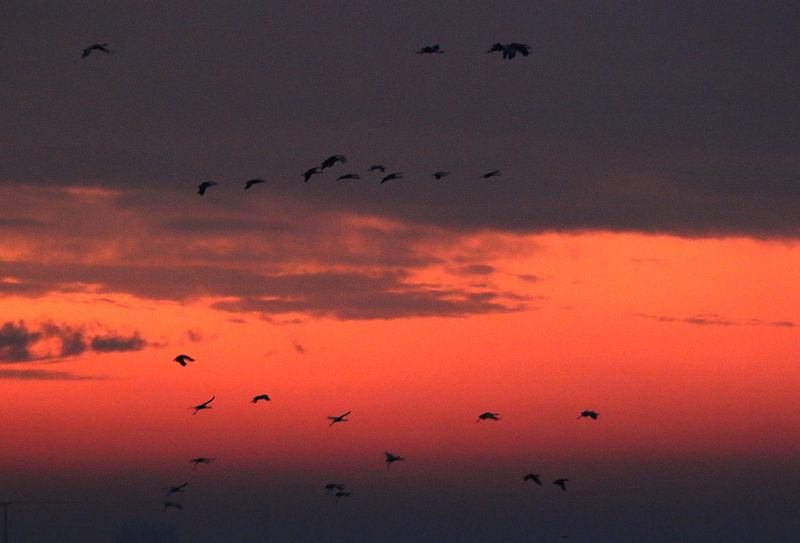 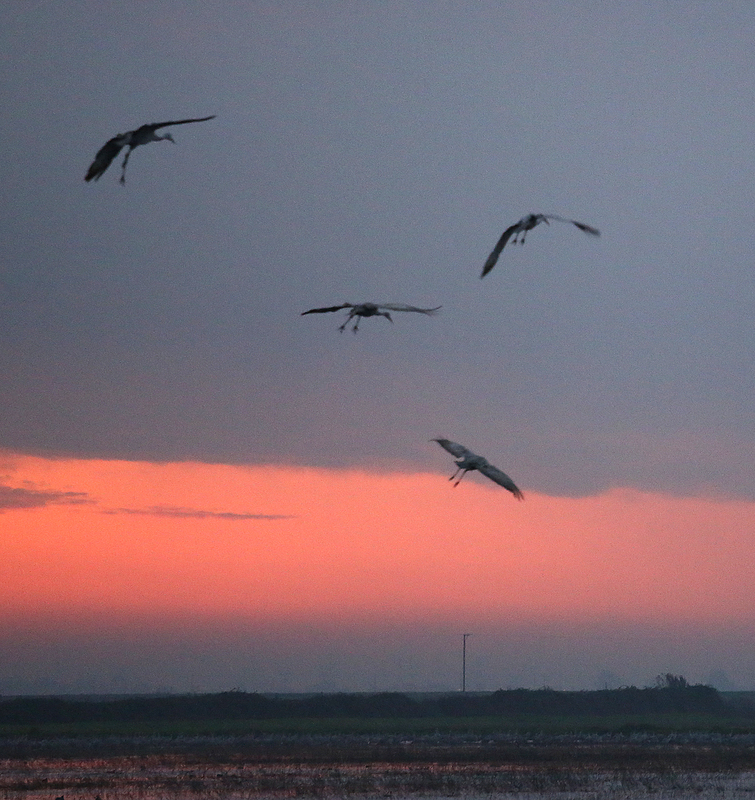 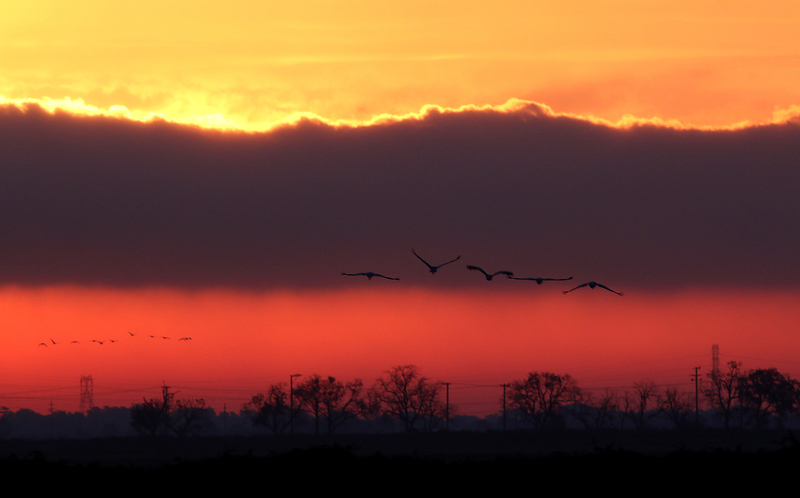 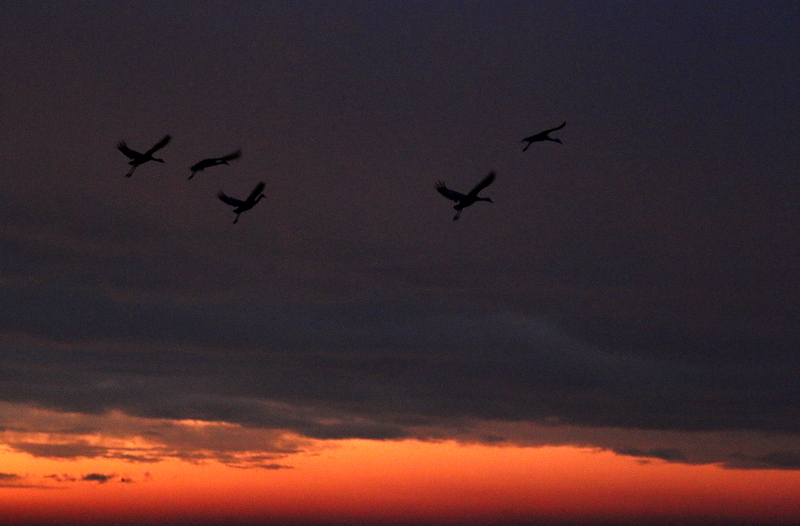 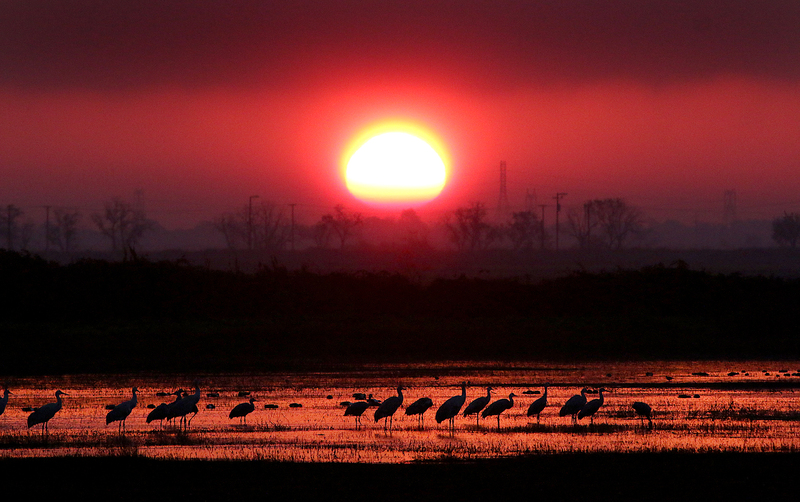 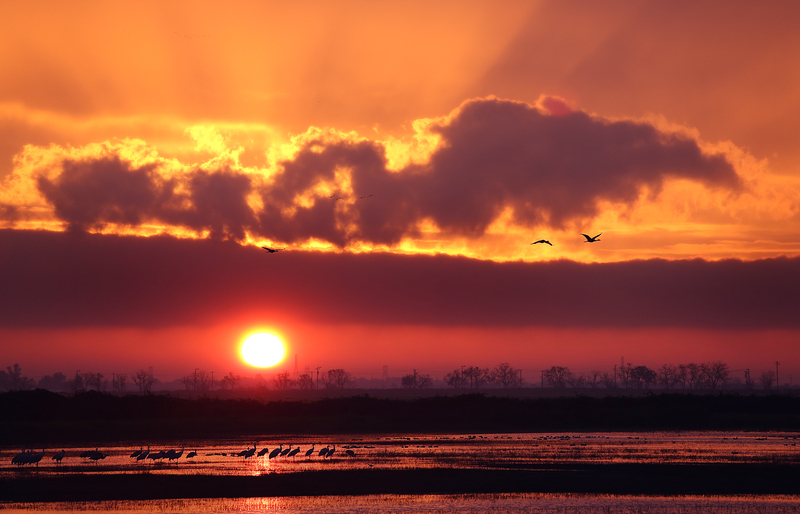 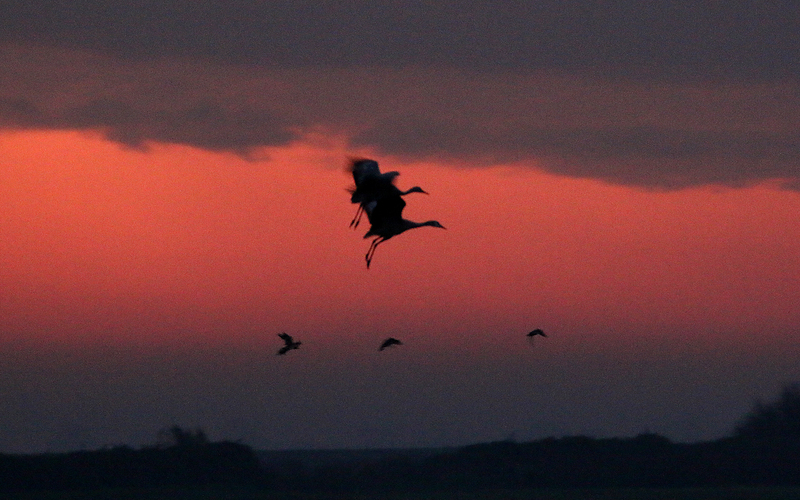 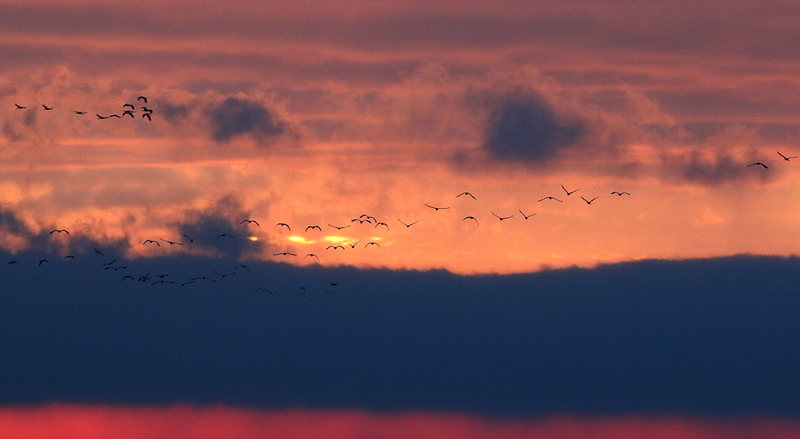 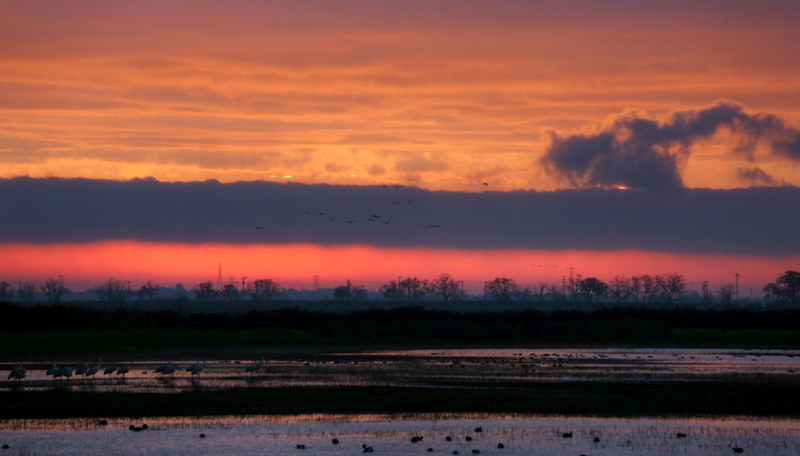 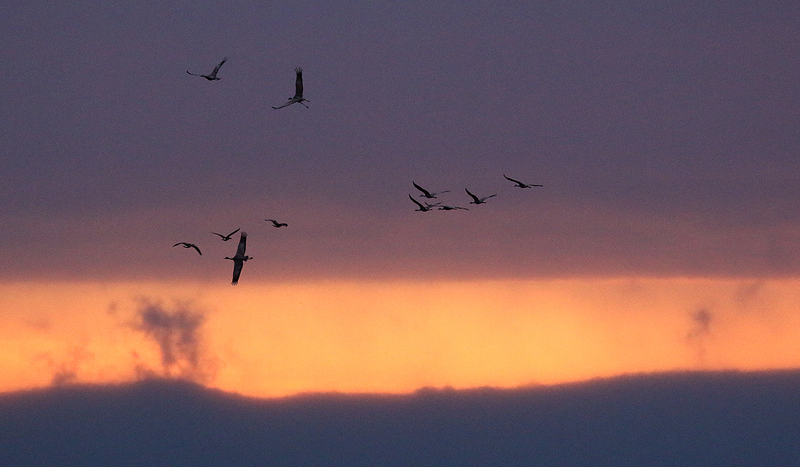 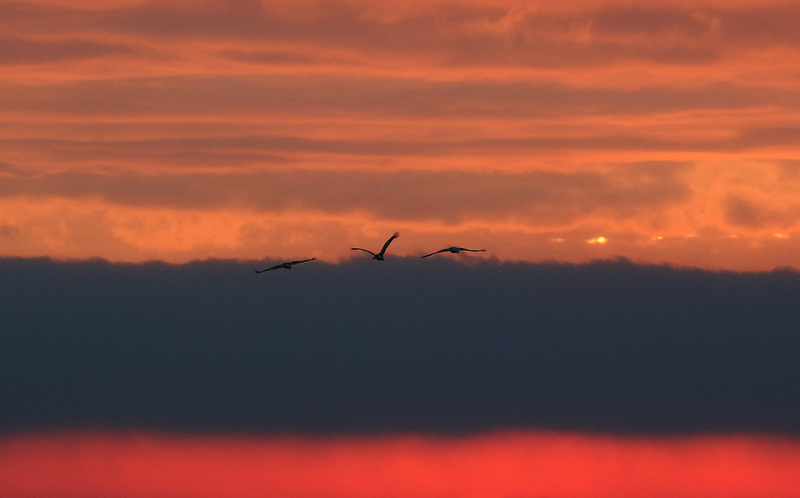 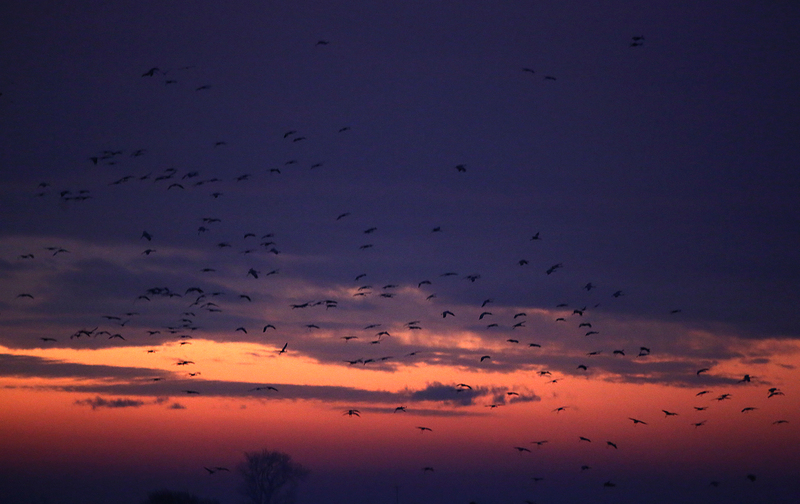 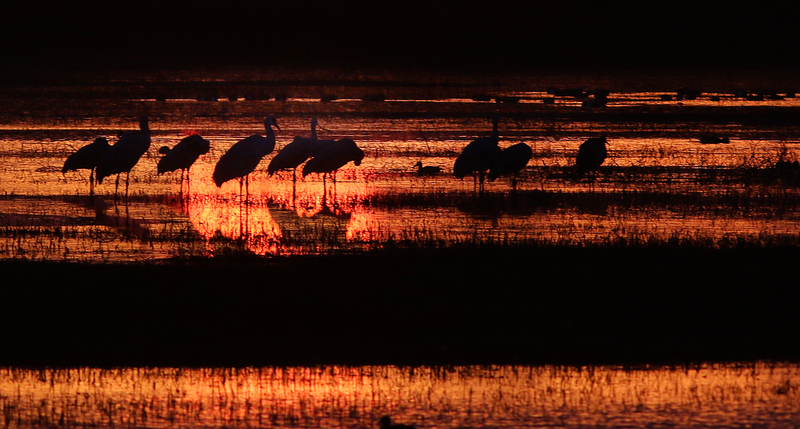 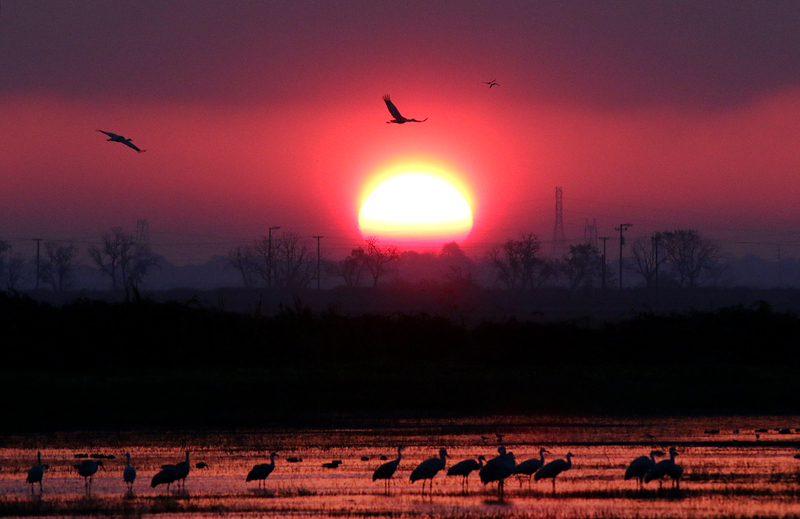 It was beautiful sunrise and my trips to the crane reserve are nearing an end for the season. 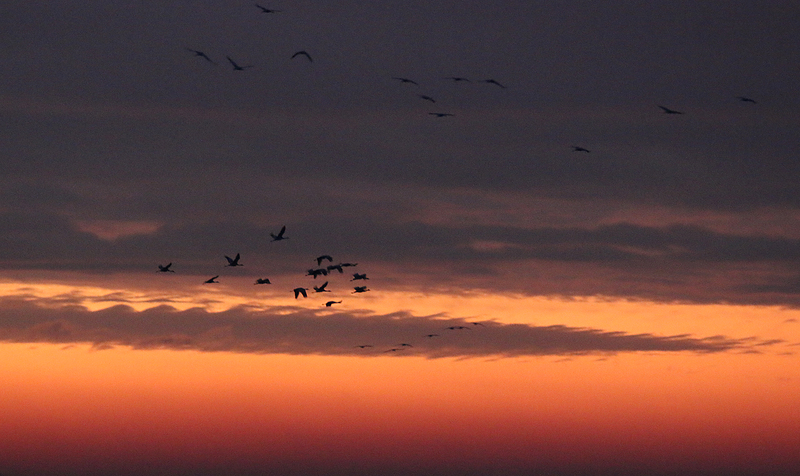 Hoping to have a winter sunrise and sunset soon to call it a wrap for the year.